The World According to Star Wars is due to be published on May 31st in the US and Canada, and June 2nd in the UK. I’m looking forward to reading this book. Bloodline is due to be published by Del Rey in the US, on May 3rd, 2016. Gray also wrote Lost Stars, part of the YA Journey to Star Wars: The Force Awakens series. 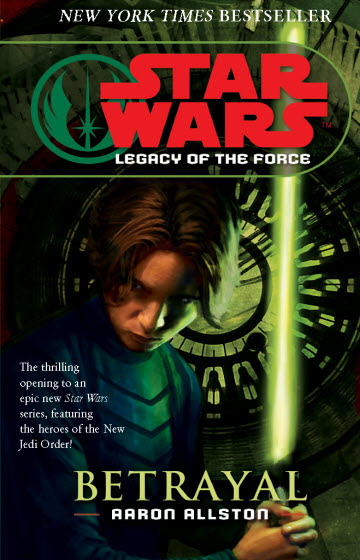 In this second edition of Turn Back 10, I’m taking a look at an early Star Wars novel review. In the first few months of CR, I read and reviewed a lot of Star Wars fiction. Not long before I started the blog, I had picked up a couple of newer novels in the series, having stepped away for quite some time. I can’t remember what it was that made me re-start, but I did and I got sucked into it in a big way. They were among some of the first novels I received from a publisher for review. I think this may have coloured my reviews — I didn’t lie about what I liked, but I think I did (in the very early months) focus more on what I liked than what I didn’t. I don’t think I am alone among reviewers to have done that, not that I would ever recommend it. I also think I read many of the Star Wars novels while still in the glow of renewed fandom. This loyalty would slowly wane as ever-more novels in ever-more convoluted series-within-series were published. My interest in reading SW novels cratered in 2013, as I tried four and finished none. With the The Force Awakened behind us, and a new era in SW fiction and movies upon us, though, who knows if my interest will be reignited? This is the era of Luke Skywalker’s legacy: the Jedi Master has unified the order into a cohesive group of powerful Jedi Knights. However, as this era begins, planetary interests threaten to disrupt this time of relative peace and Luke is plagued by visions of an approaching darkness.